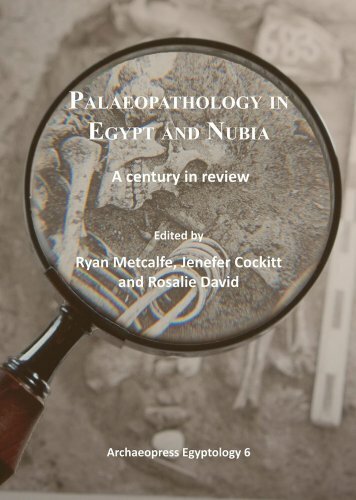 This is a volume of sixteen papers (presented at the 2012 Natural History Museum workshop) which explore the subject of palaeopathology (the study of human remains) from its beginnings in the early 1900s through to the latest technological developments. The first section on the history of bioarchaeology includes a reassessment of the life and legacy of Sir Grafton Elliot Smith by Professor Rosalie David OBE, a report by Jenefer A. Cockitt on attempts to reconstruct his work during the second season of the first Archaeological Survey of Nubia (hampered by the lack of reporting at the time and the spread of what little of the human remains survive across museums in the UK, Egypt and Australia) and Ryan Metcalfe’s exploration of the work of Alfred Lewis, including his definitive investigation into the use of natron in mummification. Papers are then grouped by discipline, including reports on ‘Harris Lines’ and ill health in childhood, evidence for tuberculosis and dental infections in ancient Egypt, two papers discussing mummification studies, imaging techniques (including Diane Johnson’s work on the microstructure of a Predynastic iron meteorite bead as reported in AE82) and two papers detailing projects to make data on ancient Egyptian mummies more widely available in the form of digital databases. Complete with black-and-white illustrations and bibliographies, this is an essential guide to one of the most important areas of Egyptological research today. As Jason Thompson observes, Egyptology has for a long time lacked its own comprehensive history. The present volume – the first of a planned series – tackles the considerable stretch of ‘Antiquity to 1881’. Thompson begins by acknowledging a point often overlooked in general histories: the Egyptians themselves possessed a well-developed sense of their own past, even if they did not articulate it in ways immediately familiar to modern historians. Ancient documents are ultimately the source of information transmitted through Classical writers such as Manetho and Herodotus. 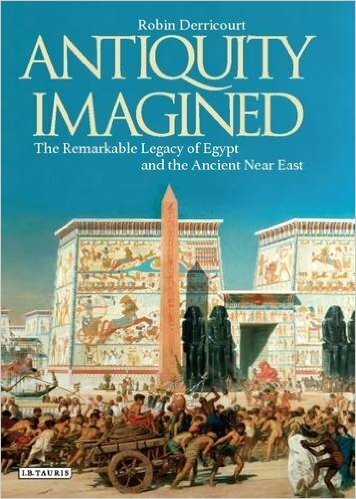 Acknowledging the important role played by Arab scholars in the Middle Ages (long thought of as the ‘Dark Ages’ of Egyptological enquiry), the author describes successive epochs in the development of the study of ancient Egypt. From the eighteenth century, Europeans dominate; the French, followed by the British and the Germans are the main players. There are all the well-known stories, such as circus strongman Giovanni Belzoni’s energetic undertakings for British Consul Henry Salt, and their subsequent disagreements; Jean- Francois Champollion’s ‘race’ with the Englishman Thomas Young to decipherment (though neither managed, in fact, to decipher continuous texts); and the passionate advocacy of the ‘queen of Egyptian travel writing’ Miss Amelia B. Edwards. 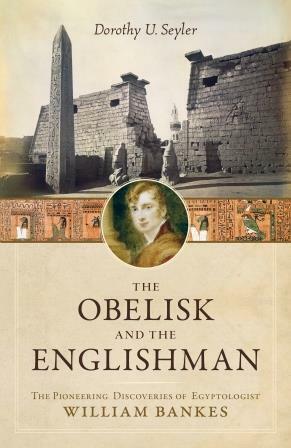 It is, however, refreshing to read of the many more minor characters who contributed much, in some cases decisively, to the development of Egyptology – such as Britons George Alexander Hoskins (1802-63), a ‘wayfarer’ but diligent copyist, and Charles Wycliffe Goodwin (1817-78) – ‘an Egyptologist trapped in an attorney’s body’. As such, this book is a more readable companion to the now-standard biographical reference work Who Was Who in Egyptology (edited by Morris Bierbrier). The only shortcomings one might raise are the resolute lack of illustrations (which would have allowed faces to be put to names) and use of chapter headings, which collude in some cases with colonial notions of the “discovery” of a “hidden” Egypt by intrepid, enlightened Westerners. Fortunately the plentiful substance presented here gives lie to that stereotype. William John Bankes was a notable character, born in 1786 into a remarkable age. He was socially placed to associate with some of the most talented and powerful men of his time in cultural fields ranging from the arts and literature to the world of power politics. His family home, Kingston Lacy is now a jewel in the collection of the National Trust. Many of its treasures and indeed its design and décor owe their presence to Bankes who inherited it in 1834. Central to the collection are the splendid artefacts brought back from his travels in the Middle East, mainly Egypt and Palestine, including a fine obelisk from Philae which now has pride of place on the lawn. Professor Seyler presents a scholarly biography of Bankes. The figure who emerges is a complex one. He was a young man of great courage with an irrepressible sense of adventure, who little heeded danger. His adventures in Egypt led him to associate with many of the notable figures in Egyptology such as Belzoni, Henry Salt and even Champollion himself, with whom he corresponded. 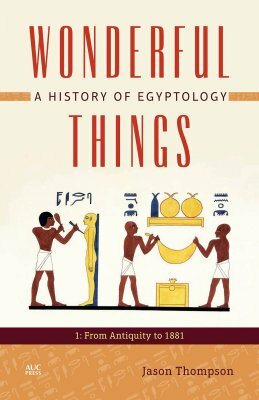 The hunt for the key to hieroglyphs and the relationship between Thomas Young and Champollion is the subject of a long explanatory section, triggered by a description of the Abydos king list, discovered and copied by Bankes. On his return from travelling, he followed, among other things, a political career, published some of his notes and sketches and engaged in litigation with fellow travellers for stealing his material. Sadly it was a breach of the law which finally caused his downfall. Acquitted on the first occasion in 1833 (his friend, the Duke of Wellington found him ‘far too manly’ to have committed the outrageous offence of which he was accused), he was found guilty ten years later of “unnatural behaviour”, resulting in his leaving England and to spend time in travelling Europe, visiting, among other places Provence and Venice, while all the time planning improvements for Kingston Lacy. With such a varied and extraordinarily wide-ranging life, William John Bankes lived life on an heroic scale. His biographer has produced a fascinating, if sometimes discursive, study from which he emerges as a vivid personality, well worth studying. The tomb of Khnumhotep II, ‘Great Chief of the Oryx nome, overseer of priests, mayor, hereditary prince and true acquaintance of the king’, is one of the most beautiful in the cemetery of Beni Hasan, and one of the last great Middle Kingdom tombs to be cut and decorated in the province. The tomb inscriptions are important in documenting how the early rulers of the Twelfth Dynasty tried to reestablish order and provide insight into the life, career and family relationships of the elite of this period. The Beni Hasan tombs were originally recorded in 1893 by Percy Newberry, but these early photographic records and drawings were not comprehensive. 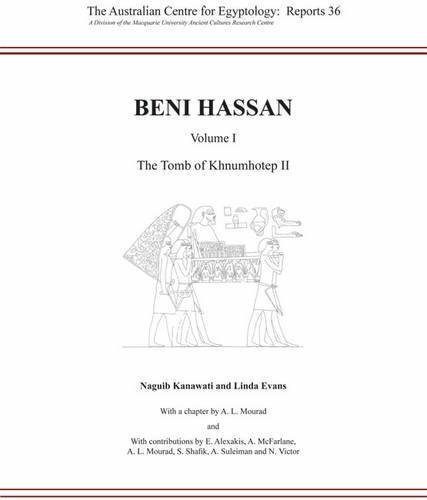 This volume is the first in a series by the Australian Centre for Egyptology to re-record and publish each tomb in its entirety. The 104 colour plates feature photographs of major scenes and details such as the arrival of the Asiatics and the birdlife of the marshes (including a very helpful comparison of animals and birds depicted in the tomb shown alongside modern photographs of these species, demonstrating the skill and accuracy of the ancient artists) as well as 44 large fold-out pages with black-and-white line drawings of entire scenes and architectural features. All inscriptions are presented together with their transliterations and translations, together with detailed commentaries on the architectural features, family relationships and indepth scene descriptions. A beautifully illustrated book that highlights every detail of one of the most stunning tombs in Egypt; professional and armchair Egyptologists alike will want to add this volume to their wish-lists. If only all the tombs of ancient Egypt could be documented in this way! 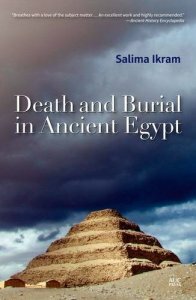 Although authored by an historian rather than an Egyptologist, this book gives a greater flavour of its (many and varied) subjects in overview than many specialist studies accomplish in detail. Derricourt sets out to examine the means by which “hoped-for” ancient worlds are created in popular media (such as non-fiction, fiction and film) – and scholarship. Although the book focuses on Egypt, there are useful comparisons with “wishful thinking” about other ancient Near Eastern cultures. The book covers an impressive sweep of often well-trodden ground but manages to uncover some less well- known nuggets and bring the whole discussion meaningfully together. 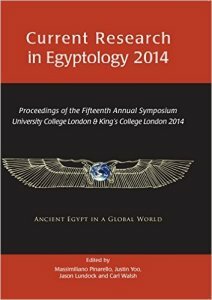 There are brief but informative chapters on mystical interpretations of ancient Egypt (especially Freemasonry), a list of theories about the pyramids (look out, ‘pyramidiots’), the perception of mummies in popular culture and the contentious issue of “race” in the ancient world (the section on anatomist Grafton Elliot Smith is particularly interesting). Although there are more in-depth treatments of each of these subjects elsewhere, it is useful that the author is also a publisher and clearly appreciates which facets of the ancient world appeal most to the general public. Most revealing of all is comparison of the “construction” of ancient Egypt with neighbouring civilisations. The chief irony Derricourt draws attention to is the fact that while “alternative” views of ancient Egypt remain in the minority compared to the (generally) widely-accepted explanations of Egyptologists, scholarly views of Biblical history have never been able to compete with Scriptural interpretations of “the Holy Land”. The author examines why this state of affairs has come to be; unsurprisingly, colonial powers (especially during the nineteenth century) were largely responsible for the way ancient civilisations were investigated and interpreted, with lasting impact on what people still think today. Studies of the “reception” of the ancient world are in vogue at the moment, and this chronology of “imaginings” of Antiquity is an important study in its own right. The discovery of the tomb of Tutankhamun sparked many strange tales, but perhaps one of the more bizarre is the story of a former soldier – Richard Leslie Adamson – who claimed .to have discovered the steps to the tomb, and then acted as Howard Carter’s security officer, sleeping in the tomb for seven years to protect the treasures inside. He gave over 1500 lectures around the world, appeared on television and in newspapers, was the subject of several biographies and was even granted a private audience with Prince Charles. And yet there is no evidence he was ever at the tomb. 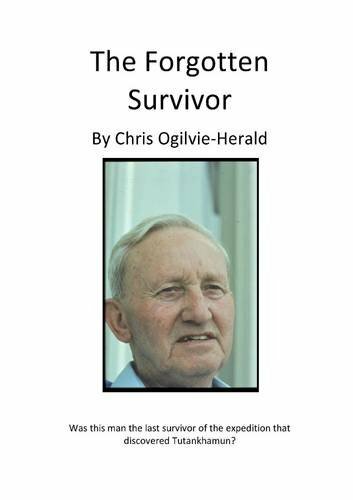 In this short but entertaining book, Chris Ogilvie-Herald turns private detective to investigate the truth behind Adamson’s tales and discover who this man really was, researching military, historical and civilian archives, and sparring online with two authors of books about Adamson’s supposed adventures. He finds proof that Adamson was living in England during the years he claims to have been at the tomb, suggesting that the man was a fantasist who thrived on the fame and publicity his stories brought him, a conclusion supported by Nicholas Reeves in his preface. Whether he deliberately set out to deceive, or truly believed in his delusions, there is no doubting the man was a genius at telling tall tales that hoodwinked even professional Egyptologists and hard-nosed journalists. Tracking down the real Richard Adamson however has proved more difficult as he seems to vanish from military and civil records – leaving us wondering if his real identity will forever remain a mystery. Originally published in 2003, and now reprinted as a paperback, this book deals with its subject matter in a very logical manner, looking at funerary beliefs, mummification, funerary equipment, tombs, and funerals and mortuary cults in turn. An entire chapter is devoted to animal mummies (about which the author is an expert) and there is a very informative section which covers the relationship between the living and the dead. Profusely illustrated with black-and-white photographs, this volume summaries current knowledge extremely well and is highly recommended to anyone interested in this particular aspect of Egyptology. edited by Massimiliano Pinarello et al. This is Proceedings of the fifteenth annual CRE symposium. Twenty-three papers are reproduced in full, subdivided into “Current Excavations” (in both Egypt and, in one case, Israel), “Cross-Cultural Studies” (between Egypt and the rest of the world), and “Current Research” (covering a very wide range of interesting topics, and including one paper on “The Art of Embalming” by Lidija McNight – see pp. 27-33 of this issue – and another by Stephanie Atherton- Woolham on the imaging of crocodile mummies from Hawara). Also listed are the titles of 55 other symposium papers that were not included in the Proceedings, allowing readers to make contact with their authors for further information.